MARY TILLOTSON: This is Mary Tillotson. STEVE EMBER: And this is Steve Ember with the VOA Special English program EXPLORATIONS. Today, we tell about Amelia Earhart. She was one of America’s first female pilots. MARY TILLOTSON: Amelia Earhart was born in eighteen ninety-seven in the middle western state of Kansas. She was not a child of her times. Most American girls at the beginning of the twentieth century were taught to sit quietly and speak softly. They were not permitted to play ball or climb trees. Those activities were considered fun for boys. They were considered wrong for girls. STEVE EMBER: The Earharts lived in a number of places in America’s Middle West when the girls were growing up. The family was living in Chicago, Illinois when Amelia completed high school in nineteen sixteen. MARY TILLOTSON: Amelia Earhart first became interested in flying while living in Toronto. She talked with many pilots who were treated at the soldiers’ hospital. She also spent time watching planes at a nearby military airfield. Flying seemed exciting. But the machinery – the plane itself – was exciting, too. STEVE EMBER: One of the world’s first female pilots, Neta Snook, taught Amelia to fly. It did not take long for Amelia to make her first flight by herself. She received her official pilot’s license in nineteen twenty. Then she wanted a plane of her own. She earned most of the money to buy it by working for a telephone company. Her first plane had two sets of wings, a bi-plane. MARY TILLOTSON: Amelia did not feel very important, because she had not flown the plane. Yet the public did not care. People on both sides of the Atlantic were excited by the tall brave girl with short hair and gray eyes. They organized parties and parades in her honor. Suddenly, she was famous. STEVE EMBER: Flying was a new and exciting activity in the early nineteen twenties. Pilots tested and demonstrated their skills in air shows. Amelia soon began taking part in these shows. She crashed one time in a field of cabbage plants. The accident did not stop her from flying. But she said it did decrease her desire to eat cabbages. MARY TILLOTSON: In the last years of the nineteen twenties, hundreds of record flights were made. A few were made by women. But no woman had flown across the Atlantic Ocean. STEVE EMBER: American publisher George Putnam had helped organize the Atlantic Ocean flight that made Amelia famous. Afterwards, he continued to support her flying activities. In nineteen thirty-one, George and Amelia were married. He helped provide financial support for her record flights. MARY TILLOTSON: In the next few years, Amelia Earhart set more records and received more honors. 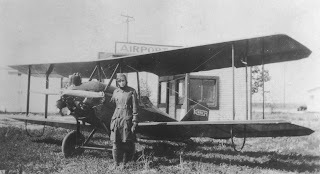 She was the first to fly from Hawaii to California, alone. 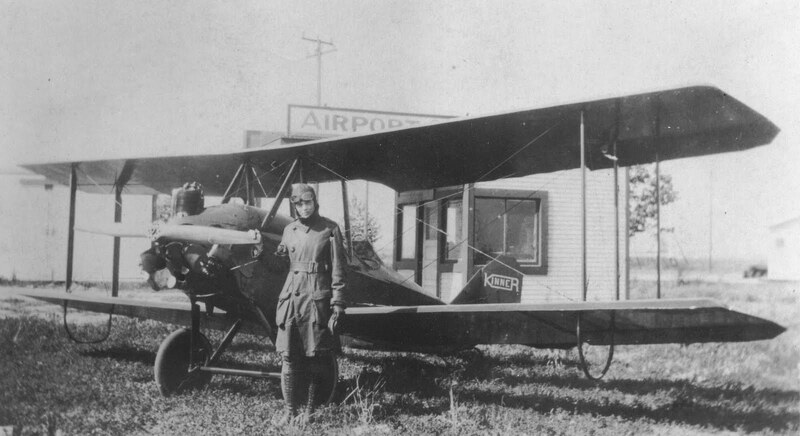 She was the first to fly from Mexico City to New York City, without stopping. STEVE EMBER: In nineteen thirty-five, the president of Purdue University in Indiana asked Amelia to do some work there. He wanted her to be an adviser on aircraft design and navigation. He also wanted her to be a special advisor to female students. Purdue University provided Amelia with a new all-metal, two-engine plane. 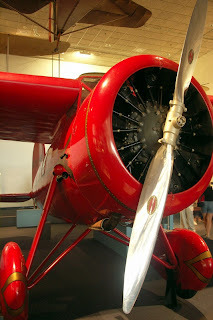 It had so many instruments she called it the “Flying Laboratory.” It was the best airplane in the world at that time. MARY TILLOTSON: Amelia’s trip was planned carefully. The goal was not to set a speed record. The goal was to gather information. Crew members would study the effects of height and temperature on themselves and the plane. They would gather small amounts of air from the upper atmosphere. And they would examine the condition of airfields throughout the world. STEVE EMBER: Amelia and three male crew members were to make the flight. However, a minor accident and weather conditions forced a change in plans. 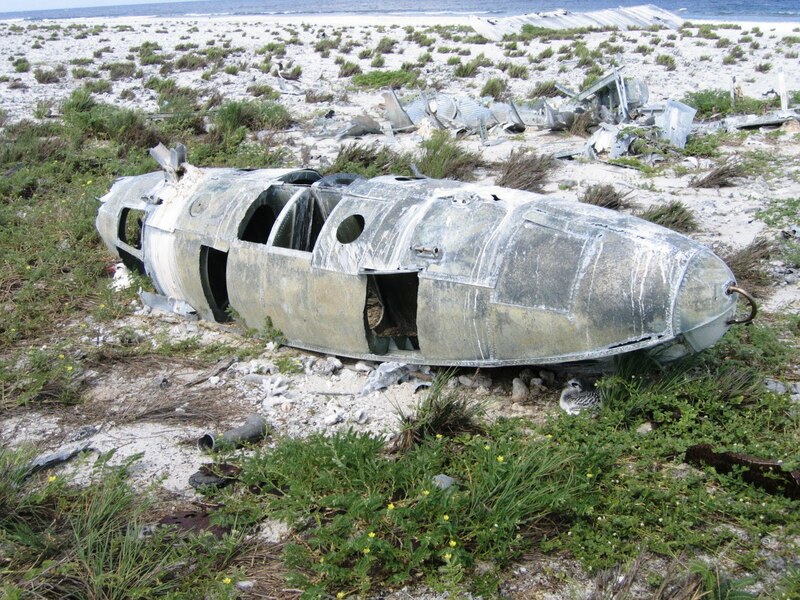 So on June first, nineteen thirty-seven, a silver Lockheed Electra plane left Miami, Florida. It carried pilot Amelia Earhart and just one male crew member, navigator Fred Noonan. MARY TILLOTSON: When they reached New Guinea, they were about to begin the most difficult part of the trip. They would fly four thousand kilometers to tiny Howland Island in the middle of the Pacific Ocean. Three hours after leaving New Guinea, Amelia sent back a radio message. She said she was on a direct path to Howland Island. Later, Amelia’s radio signals were received by a United States Coast Guard ship near the island. The messages began to warn of trouble. Fuel was getting low. They could not find Howland Island. They could not see any land at all. STEVE EMBER: The radio signals got weaker and weaker. A message on the morning of July second was incomplete. Then there was silence. MARY TILLOTSON: This Special English Program was written by Marilyn Rice Christiano. It was produced by Paul Thompson. This is Mary Tillotson. STEVE EMBER: And this is Steve Ember. Join us again next week for another EXPLORATIONS program on the VOICE OF AMERICA. 1. When Amelia finished high school in 1916, she decided to ___________________ . 2. 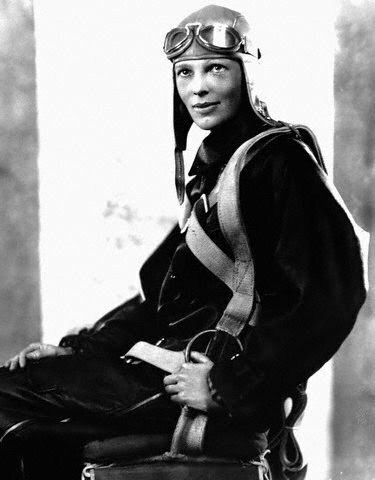 Amelia Earhart was the first pilot to ______________________________ . 3. Amelia Earhart wanted to learn how to fly after _______________________ . 4. This article is mainly about _____________________________ . d: Purdue University's "Flying Laboratory." 5. At the beginning of the Twentieth Century, most American girls were expected to _________________ . 6. On her failed attempt to fly around the equator, Amelia Earhart and Fred Noonan didn't land in _______________________ . 7. In 1928, Amelia Earhart became _________________________________ . 8. A radio message from Amelia Earhart received near Howland Island said that the pilot and co-pilot ____________________ . 9. 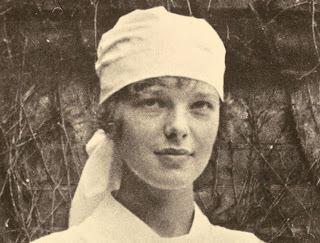 In 1932, Amelia Earhart became the first woman to ________________ . 10. Amelia Earhart during these days of early aviation wanted people to know that ______________________ . short National Geographic film speculates.